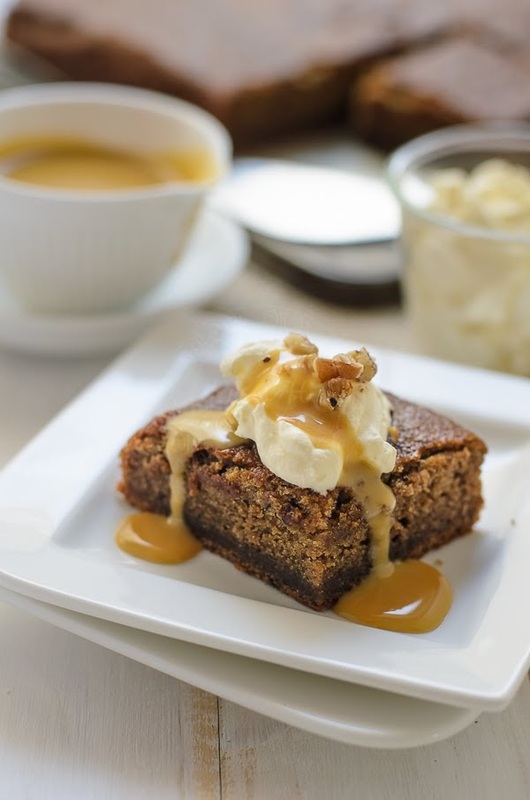 ...with sticky date pudding with brown butter toffee sauce! I have never liked dates since young. Those days (some 30-40 odd years ago), we would have dates once a year, during Ramadan. I have never liked them , as they were too overly sweet, dates were coated with syrup and dry. Much much later, years later.... traders started to bring in dates from Tunisia. Tunisian dates were much better in quality, naturally sweet, moist and soft in texture. From then on, I craved for Tunisian dates every Ramadan. And in Perth, there is another type of dates on sale here all year round, its called Mejdool from sunny California, US. And these dates aren't cheap either :(. Due its ridiculous store pricing, I 'refused' to spend that much money on dates. I have been wanting to bake sticky date pudding for quite sometime, hesitated, as I can imagine how sweet it will turn out to be. 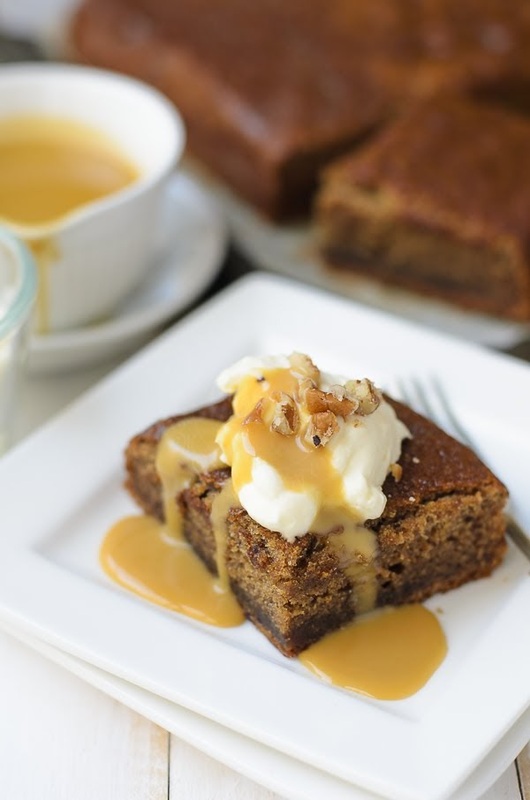 Sticky date pudding with brown butter is decadent with toffee sauce to die for. Prepare a square baking dish of 20cm by 20 cm, lined with greaseproof paper. Add boiling water, dates and bicarbonate soda and let it steep for 5 minute. Add steeped dates, butter and sugar in the food processor and processed until well combined. Blitz for few more minutes until combined. Pour into the prepared dish and bake for 30-35 minutes or until the skewer comes out clean. Cool in the pan before cutting. Place butter in a saucepan over medium heat. Water content in butter will evaporate (Note butter will foam up then subside) leaving milk solids that start to brown. Remove from heat and add cream and sugar. Bring to boil then simmer until the mixture thicken. 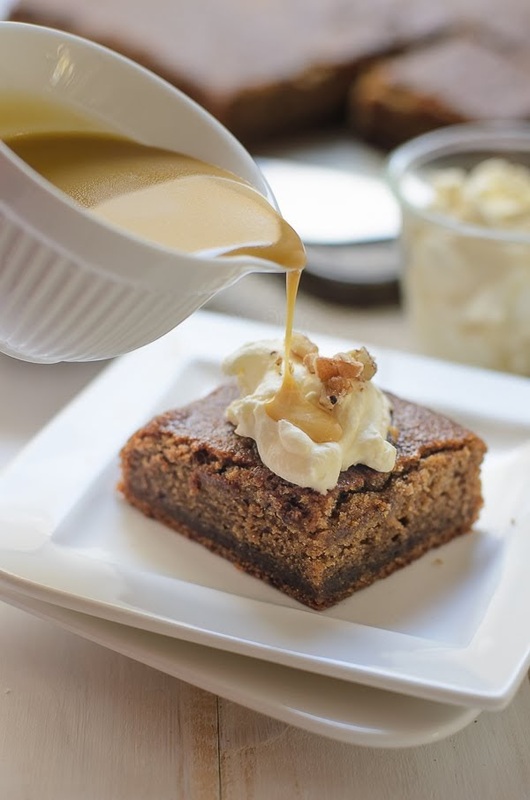 Cut the sticky date pudding into squares, dollop some whipped cream, sprinkle some crushed pecans and drizzle some brown butter toffee sauce. That pudding looks ever so tempting! A devilish dessert. 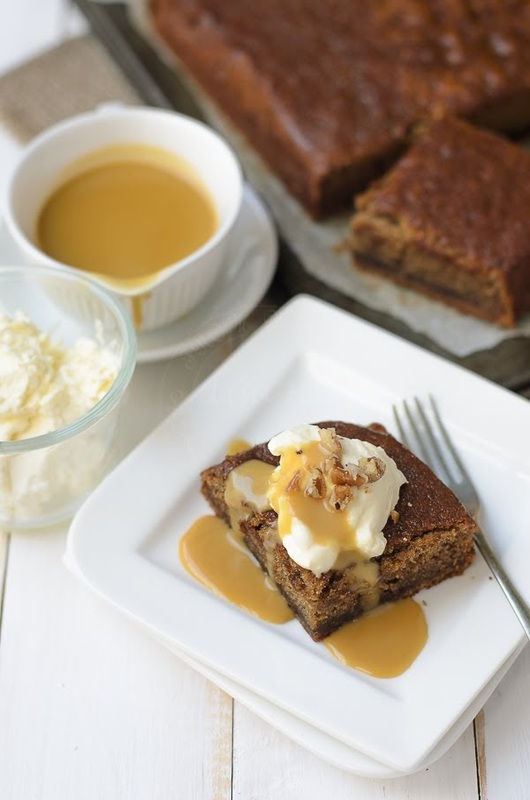 Nothing can beat a classic sticky date pudding.. and yours look absolutely so delicious. Definitely a recipe that I must try.. thanks for sharing it! This pudding looks so comforting and your shots are gorgeous! I wish I could have a small slice now. It looks SUPERB! I've seen a lot of desserts with dates, but to be honest, I don't know if I've tried any... I might have, but I don't remember well. Looking at this pudding, I really wish that I get to try it for the first time! :D Looks yummy! OMG Lisa, this date pudding looks delicious...and the pictures are so pretty...awesome!